ein hod: A man or an ape? 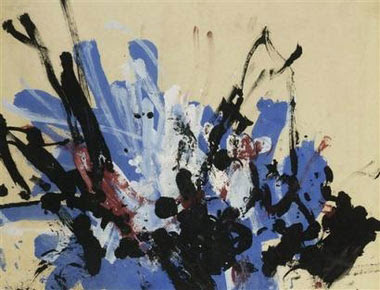 His paintings were first shown in London in 1957 as abstract lyrical or abstract expressionist works. Picasso and Miro were said to have bought his canvases, and an American collector of contemporary art bought three paintings at an auction in 2005 for $26,352. The artist's name was Congo - a chimpanzee. This is not merely an anecdote; art does not belong exclusively to human beings, but to other animals as well. This is the main thesis of a new book by Ben Ami Sharfstein, Professor Emeritus at Tel Aviv University and recipient of the 2005 Israel Prize for Philosophy.